Liverpool are reportedly eyeing a move for Julian Draxler this summer, with the Paris Saint-Germain star struggling for a prominent role this season. The 24-year-old has made 38 appearances in all competitions, scoring four goals and providing nine assists, but a closer look at his numbers show that he has been in and out of the starting line-up in Ligue 1 and the Champions League throughout the campaign. His situation in the French capital would undoubtedly have become more complicated following the signings of Kylian Mbappe and Neymar last summer, and as per Transfermarkweb, he could seek an exit from Paris if he can’t be sure of a key role at the club. That in turn has sparked interest from Jurgen Klopp and Liverpool, with the German tactician undoubtedly fully aware of his qualities having gone up against him during his time in charge of Borussia Dortmund while Draxler was still plying his trade in the Bundesliga. The German international was part of the World Cup winning squad in 2014 and so he has pedigree and experience at the highest level for both club and country, while his versatility and age make him a very attractive potential signing for any outfit if he chooses to move on this summer. Draxler has been deployed on the left wing or in a more central role throughout his career, and although Liverpool boast the likes of Mohamed Salah, Sadio Mane and Roberto Firmino in the attacking third, he could be a crucial addition to offer quality depth and competition as the Reds will look to continue to compete on various fronts moving forward. Following Philippe Coutinho’s move to Barcelona in January, Liverpool still have a void to fill in their side in terms of a creative playmaker to link everything together. 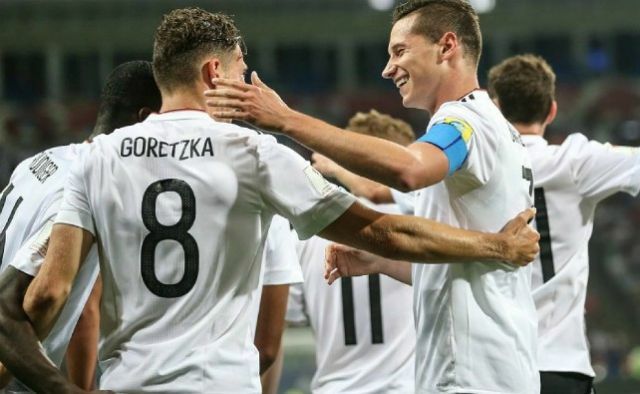 Perhaps Draxler, albeit a different type of player, could be a pivotal piece to add to the puzzle as he’s shown more than enough to suggest that he could delight the Anfield faithful if he were to move to Merseyside.